UNESCO–listed Alberobello is famous for its Apulian dry stone huts, or ‘trulli’, but exploring this historic town and surrounding countryside on foot isn’t easy. 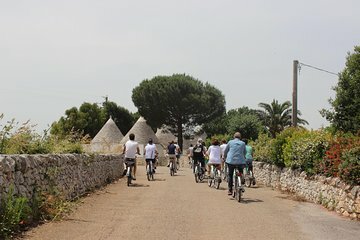 On this tour, visit Alberobello as your guide shines a light on the town’s history and culture, then spin through the Itria Valley’s olive groves and vineyards to Locorotondo by e-bike. Cover the ground with ease, and see the best of Alberobello and the Itria Valley in one day.